5th Friday started 30 years ago in the northern suburbs and sells out quickly. 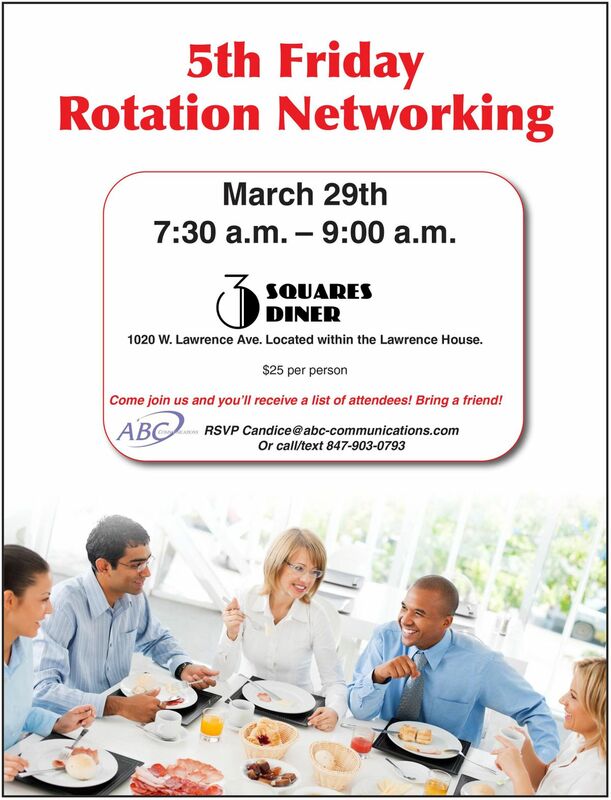 This is a really great networking breakfast where you'll connect with other business professionals from both the city and suburbs. We rotate so you connect with 3 rounds of guests. Bring plenty of business cards. But RSVP today if you'd like to join us. It's $25 for the breakfast and networking.